Button, Button, Who’s Got the (One) Button? We often think that less is more, but what can you do with a device that has only a single button? [Volos] wondered the same thing and he built an Arduino with a single button and a display. After doing some obvious things (like a counter or stopwatch) he decided to make a calculator. You can find the source code online and he used a library from GitHub to handle the reaction to single presses, double presses, and long presses. Is it ideal? Probably not. But if you only have a limited amount of space or pins, it can make the difference between a feasible project and one you can’t finish. 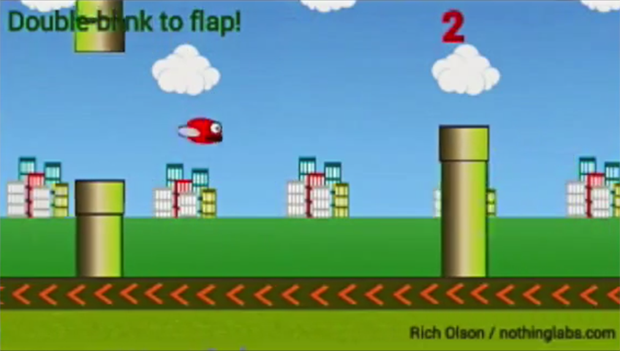 His original projects also included a Flappy Bird clone. The OLED display is only 64×48 so that’s not a lot of room. The packaging of the tiny Arduino, the battery, and the display in a good looking case, was pretty impressive. So the device might be usable for something. Of course, the library will work with any program and there’s no reason you can’t have more than one button and simply multiply their functions with the same strategy. There’s a sample on GitHub that shows how you can create two OneButton objects connected to different hardware devices. Back in 2014 [Johan] decided to celebrate BASIC’s 30 50 year anniversary by writing his own BASIC interpreter. Now, a few years later, he says he feels he has hit a certain milestone: he can play Flappy Bird, written in his own version of BASIC, running on his own home-built computer, the BASIC-1. Inside the BASIC-1 is an Atmel XMega128A4, a keyboard from a broken Commodore 64, a joystick port, a serial to TV out adapter, and an SD card adapter for program storage. An attractively laser-cut enclosure with kerf bends houses the keyboard and hardware. The BASIC-1 boots into BASIC just like many of its home computer counterparts from the 80s. Flappy Bird on an… E-Cigarette? Okay, now we’ve seen it all. Someone put the effort in to port Flappy Bird… to run on an e-cigarette. An eVic-VTC Mini to be precise. So now, between puffs, you can play one of the most frustrating games ever. The SDK for the e-cig is available on GitHub, which was provided by a group of Redditors last year. If you’re interested in the game, and happen to have this model of e-cig, [Bank] has provided download and flashing instructions in the description of the YouTube video. To which the creator, [Balázs Bank], responded with the download links to install it yourself. Has science gone too far? Flappy Bird has been ported to just about every system imaginable, including but not limited to the Apple II, Commodores, pretty much every version of the Atari, and serves as a really great demonstration of the TI-99’s graphics capabilities. Porting is one thing, but having a computer automate Flappy Bird is another thing entirely. [Ankur], [Sai], and [Ackerly] in [Dr. Bruce Land]’s advanced microcontroller design class at Cornell have done just that. They’re playing Flappy Bird with a camera, FPGA, and a penny wired up to a GPIO pin to guide the little 8-bit-bird through Mario pipes. The setup the team is using consists of a webcam that records the screen of a smartphone, an FPGA, and a little bit of circuitry to emulate screen taps. Inside the FPGA, the team is looking at the video stream from the phone to detect the bird, pipes, and gaps. The ‘tapper’ unit is a US penny, placed right above the ‘tap’ button, wired to a GPIO port. This was found to be the ideal contact for a capacitive touch screen – taps that were too small weren’t registered, and taps that were too big registered as two taps. For spending an entire semester on automating Flappy Bird, the team has a lot of knowledge to show for it, but not the high score: the bird only makes it through the first pipe 10% of the time, and the second pipe 1% of the time. The high score is three. That’s alright – getting the algorithm right to play the game correctly was very, very difficult, and to nail that problem down, they estimate it would take at least another semester. Say you’re meeting someone new, and instead of communicating like a normal person that wasn’t born in a barn, they play with their phone the entire time. How about a cashier or sales person who is so insufferably distracted with the Facebooks you’d guess they had a side job in the QA department of some developer? All these things will soon be a distant, horrible memory, because now you can play Flappy Bird on Google Glass. [Rich] has had his Glass for a while now, and has been meaning to write an app for it. It took a little bit of inspiration, but when the idea of using the eye sensor to control everyone’s favorite 8-bit bird, everything fell into place. It ended up being an interesting use for the Glass, and something we actually wouldn’t mind trying out. The bird is controlled by a double blink. In the video below, you can see there might be a little bit of latency depending on how [Rich] put the video together. Better grab that .APK while there’s still time. [Rich] says it’s a free download for anyone who’s already overpaid for a Google Glass.